When building a new home or remodeling your kitchen you are faced with the decision on which countertop material to use. The kitchen countertop or bathroom vanity countertop material you choose should bring out the elegance and style. Granite and marble countertops are both very elegant materials that will keep their look for decades when properly take care of and maintained. Granite has been the countertop king for ages while marble is synonymous with high class and luxury. In this article, we look at the similarities and differences between the two countertop materials and where best to use each one of them. Marble is more classic and elegant as compared to granite which is more common. Granite, however, comes in different colors as compared to marble. Granite is also a natural rock made from compressed quartz, feldspar, mica and other minerals. Granite is harder than marble. Both the materials are porous and offer good quality countertop material. The comparison will help you decide which countertop to use for your kitchen countertop or bathroom vanity countertop. Although both materials are made from the natural rock they are different in appearance. Granite has speckled colors that it gets from melded stones and comes from numerous shades and tones. Marble has veining characteristics with a deep, rich feel and comes in fewer colors and variety. Marble is commonly available in black and white. Granite is shiny and glossy as compared to marble which has a dull smoothness. Marble can be made to look like granite by applying a sealant. The cost of marble vs granite varies according to the collar and appearance. Marble is, however, more expensive than granite. It may not be possible to get large chunks of marble due to its soft nature while you can get for granite as its sturdier. Granite is hard and resists chipping and cracking when it’s well maintained. On the other hand, marble is softer and it’s more prone to scratches and cracks and therefore require more care. Both the rocks are porous but marble is softer, making it easy to stain and damage as compared to granite. Marble is susceptible to heat and any acidic liquids and it’s therefore important that extra care is taken. Granite, however, is harder and can withstand heat to a certain level. Granite is harder and therefore more durable and can be used in kitchens with moderate traffic as a kitchen countertop or bathroom vanity countertop. Marble is appropriate in places with little traffic and can be used both in the kitchen and bathroom. Both granite and marble are porous and require sealing so that they don’t absorb spills. You need to reseal marble countertops at least twice per year while you can seal your granite countertop once every two years. Marble will require more maintenance work as compared to granite. In case of chips, the repaired chips are more visible in a marble than in granite due to its flecked pattern. Make sure that the installation of both granite and marble is done by the expert from the granite company to avoid any installation problems and breakage. Marble countertops require more maintenance and care but if you are willing to trade that for the classic and elegant look then go for it. Granite, on the other hand, is common in most homes, but it’s harder and more durable. Granite countertop Durham will work well even for the outdoor kitchen island and it requires moderate care and maintenance. Before making your choice speak to the granite countertop installers and they will advise you on the best kitchen countertop and bathroom vanity countertop for your house. 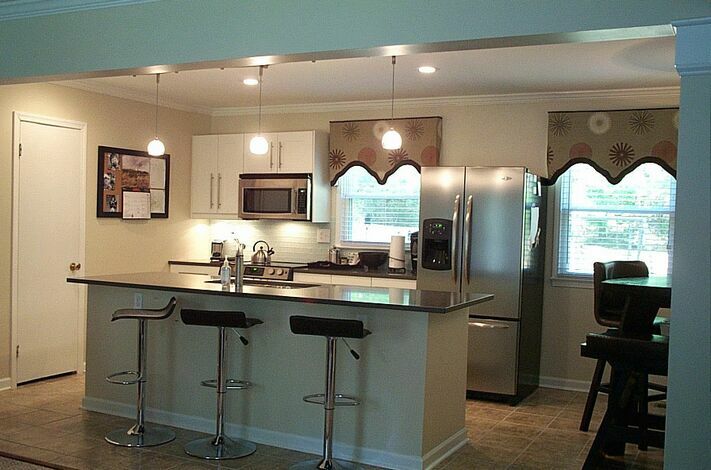 The kitchen countertop is one of most valuable features in your house. The countertop gives your kitchen the regal look and its therefore important that it’s in good shape. What happens when your countertop cracks, chips or fractures? In this article, we look at the various countertop problems you are likely to experience and how to deal with them. Don’t attempt to repair the kitchen countertop as the material is delicate instead invite the quartz or the granite countertop Durham, installer to have a look and advise. too much weight on the edges of the countertop. Imprecise installation and stress during transportation. If the countertop is not installed with proper reinforcement that will lead to cracking. The granite contractor should ensure there is sufficient reinforcement for the countertop to avoid damage. Countertops can withstand heat but they can also get damaged with the hot pans leaving marks. The solution to remove the stains depends on the type of countertop material that is in your kitchen. Pushing knives and other sharp utensils around the kitchen will cause scratches on the countertops. When your granite countertop has a scratch, invite the granite installer to assess the issue and advice on the way forward. To avoid stains and marks caused by hot pans, ensure that hot pans are not placed directly on the countertops. Avoid throwing sharp objects on the countertop as that will cause scratches and while cutting foodstuff ensure you use cutting boards. Make sure your countertop installation is handled by an expert at the granite company to avoid problems that result from a poor installation process. Don’t attempt to solve major problems like a raptured countertop or a large crack on your countertop. Invite the granite countertop installers to have a look at the issue and they will advise the best way to deal with the problem at hand. The repair process may be complicated and delicate and its best to let the granite contractor handle the process. The durability of your kitchen countertop largely depends on how well you maintain the countertop. Ask the granite countertop installers on how best to take care and maintain the countertop to ensure it looks good long after the installation is complete. The bathroom vanity countertop material you choose should bring out the elegance of your bathroom, act as the focal point and connecting point between the wood and the surface above. 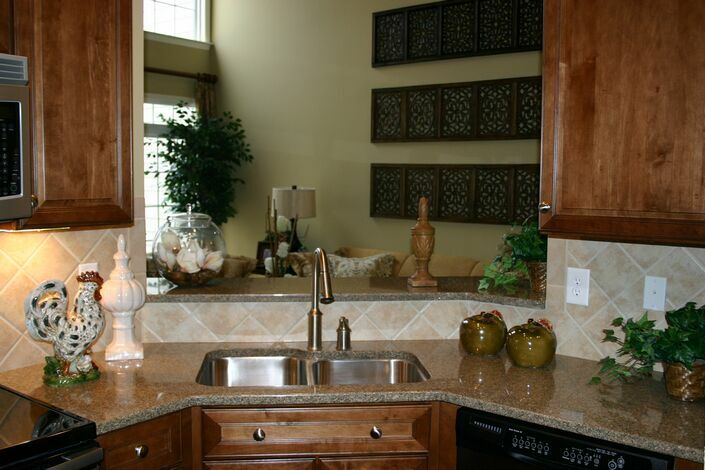 The countertop material you choose should be able to withstand soap and water and still be durable. Although bathroom tops will not undergo the same work as the kitchen countertops it’s important that you use the right material for your bathroom. The granite installer will be able to advise you on the best material based on your needs. The look you want to bring out in your bathroom will determine the choice of countertop material you use. Before you decide whether its contemporary, classic, Victorian or the traditional look you want to achieve, research and look at the different styles and choose the one you want. The granite installers will give granite bathroom countertop ideas that you can implement to give your bathroom the natural artistic and classic look and if you choose to use wood then you have a more traditional look. The vanity countertop material you choose should give your bathroom the regal effect. The countertop material you choose should not harbor bacteria making it friendly even for your children. Choose a material that is nonporous so that it doesn’t harbor bacteria and it’s easy to clean. Quartz countertop is nonporous and that makes them a perfect choice for the bathroom vanity countertop. Make sure the edge profile you choose is also safe for the children. How are you going to use the vanity countertop? If your hair closet has heat styling tools then you may need to get a heat-resistant countertop. Get a countertop material that is not porous and not susceptible to stains if you are going to use the vanity countertop as a makeup place. If you choose granite countertops to ensure its sealed to keep out stains. The material you use should be able to withstand soap and any other stains without fading or losing the shine. Quartz countertop is a low maintenance countertop, unlike granite which requires sealing often. If you don’t have the time to keep cleaning the countertop, then choose the low maintenance countertops. It’s however important to take care of the countertop you choose to avoid damage and to ensure durability. How much have you budgeted for? The countertop material you choose should fit into your budget. The granite installer will take the measurements of your top and give you a quotation of the various materials you can use for the vanity countertop. Choose the material that fits into your budget. 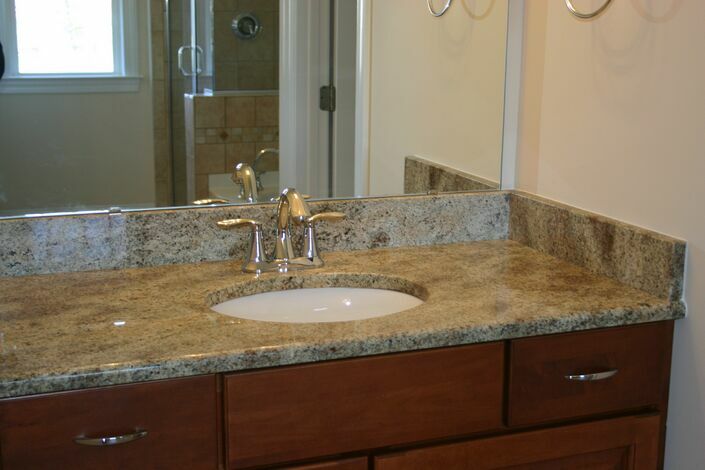 Huge bathrooms will require a bigger vanity countertop and that will determine the material you choose to use. If you have a large bathroom, the material you choose should bring out the elegance and also fit into your budget. Ensure that the vanity countertop you choose should fit into your room without making it look overcrowded. The countertop material you use will determine the cost of the bathroom vanity countertop. Natural stone is more expensive and will, therefore, increase the overall cost. Visit the granite company and the granite installers will give you a quotation for the cost. Once you have made up your mind on the material to use, you need to get a quote from the granite countertop installers on the various options and the cost. Ensure that all the costs are included in the quote. The labor for the various countertop products will differ because material like granite countertops requires sealing after installation. Ensure the quotation you get from the granite company is conclusive. The material you choose should be able to withstand soap and resist heat. Choose the material that is within your budget and that will serve the purpose you intend. The countertop product you choose should bring the beauty and elegance of your bathroom. 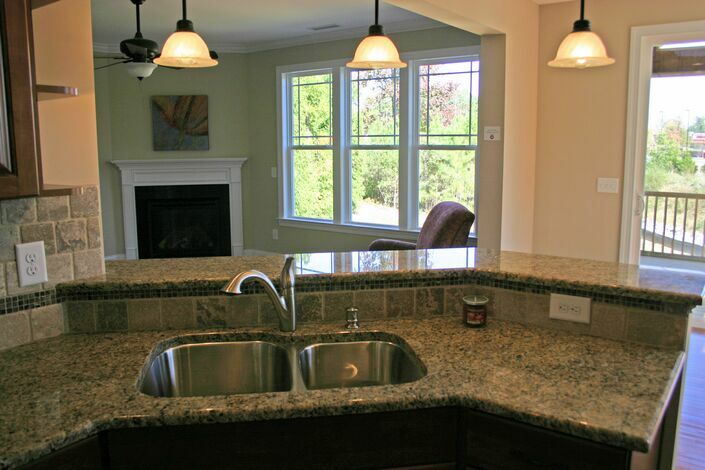 If you choose granite countertop Raleigh the installer will be able to advise on how to take care of the countertop. One of the smallest but the extremely important detail of the kitchen countertop is the edge. Once you have made your choice between granite countertop Raleigh, marble countertop, and Silestone countertop there are other factors you should keep in mind. There are other details that play a role in the beauty and functionality of your kitchen countertop. The shape of the edge countertop will determine the functionality and safety while using the countertop. The small details will give you the unique kitchen you were hoping to achieve. There are many factors to consider when choosing the edge of your countertop and we look at the factors to consider when choosing the edge profile. Your personal preference and style are the first criteria to use while selecting the edge profile of the kitchen countertop. The granite countertop installers will take you through the various edge profiles and you choose that which is visually attractive to you. Sample the edges and decide which profile will best suit your working space. It’s however important to consider the choice of the countertop you want to use as different edges work for different types of the countertop. Your daily routine may not be wholly related to the type of edge you choose. The wrong countertop edge could be a potential danger in your kitchen. Countertops with sharp edges could increase the hazard impact in your kitchen and if you have children running around sharp edges may not be suitable for your kitchen countertop. Stark edges could be uncomfortable when dining and relaxing. Consider the daily routine in your kitchen and choose the one that most suits your routine. When sampling the granite countertop, Silestone or marble make sure to feel the edges and choose one that suits your family. Before you go shopping for your countertop, understand the aesthetics of your home. consider whether your home is modern and decorative, the location of the home and blend the counter edges with the home design. Straight edges will look more elegant in modern houses while the same counters may look out of place in older houses. One of the most important kitchen details is the right edge for your countertop. Complex countertop edges will have more places to clean as they have more places where dust and food can settle. Consider the amount of time it takes to clean each type of edge profile. Some edges will require more time to clean than others. Dupont edges will require more time to clean as compared to the simple edges which are easy to clean. If you have a busy lifestyle then let the granite countertop installers get you the simple edges. It’s important the granite company you choose to work with has the experts that will guide you on all the countertop edge profiles that you choose from depending on your lifestyle. Simple edges will cost less to cut as compared to the more complex ones. The more detailed and intricate edges will be more expensive. Once you have sampled the edges you want to ask the granite countertop installers for a quotation and on the edge profile you want. Depending on your budget choose the edge that will fit in your budget. Choose the edge that will give your kitchen the regal effect you need. If you are remodeling your kitchen so that you can put up the house on sale consider the trend of other competing properties. Ensure the granite countertop, or the marble countertop edge provides the security and functionality of your kitchen. 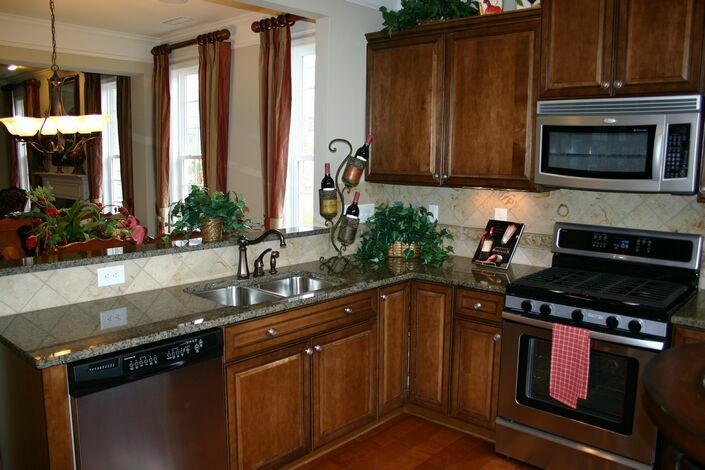 Granite countertop will give your kitchen ambiance and class. 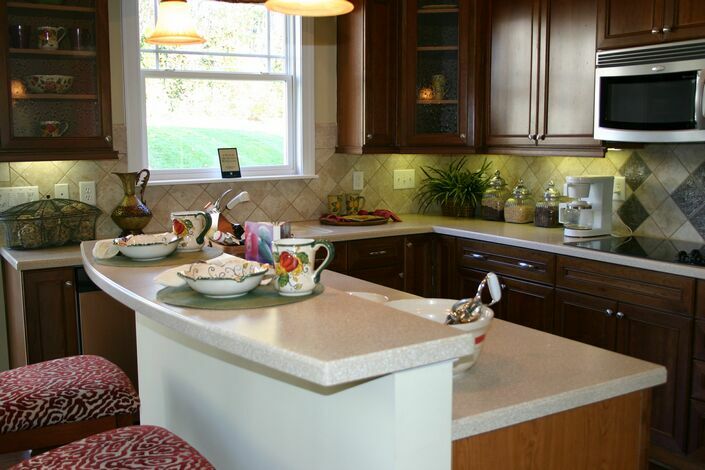 Proper installation of the granite countertops is imperative to provide the house with the much-deserved value. Granites are formed from granite rocks, and through machines, they are cut to different sizes. Granites come in different colors and sizes. The size of your granite depends on how your kitchen is structured. Colors like pure white granite are rare to find, but they are timeless and will never lose their appeal value. Red granite kitchen tops are bold and have a lot of history behind it while green granite gives an earthy feeling.Depending on what outcome and message you want to deliver choose from a variety of colors. Given your kitchen an ultimate look and if you want to sell your property ensure to pick a color that the buyers will love. Also, choose the color depending on the use of granites, dark colors are less likely to get stained and therefore ideal for the kitchen. Choose a granite color that will complement the look of your house. 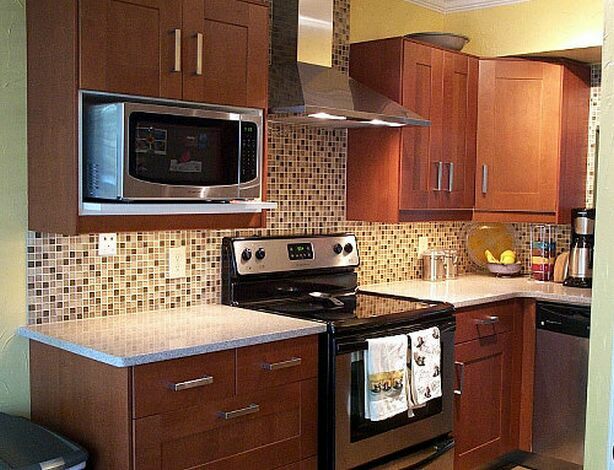 Check the color of your cabinets and other accessories and choose a color that will compliment and not contrast. 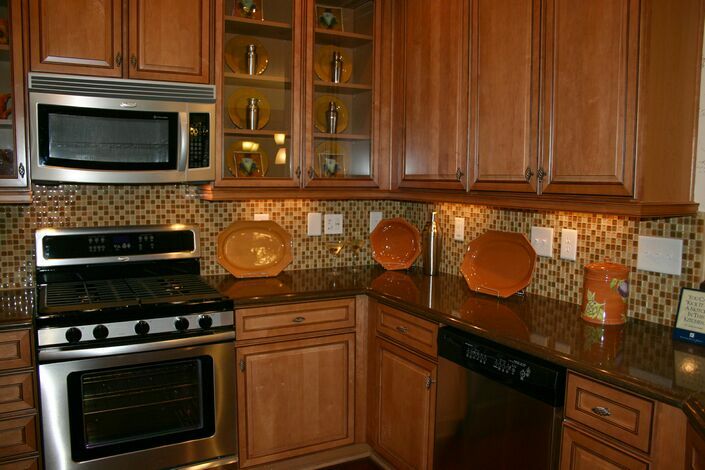 If your cabinets are bright, then you can choose a darker granite. 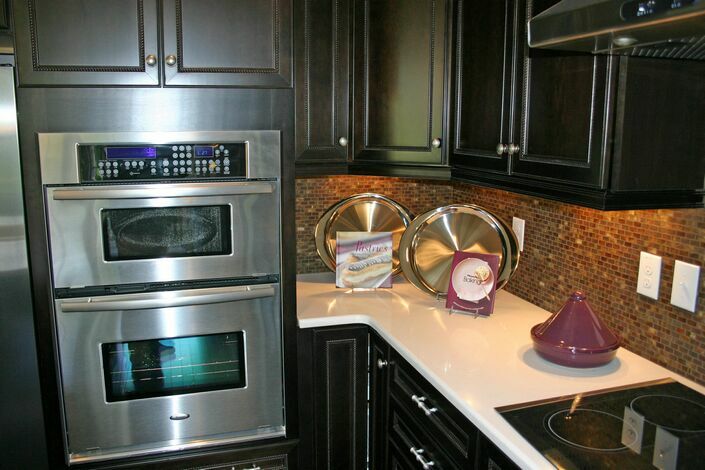 You can also pair your granite with one of the cabinet colors. It’s important to check the cabinet and color combination from the dealer you are buying from to ensure you get the best color for your house. It’s imperative to have the right thickness of the granite depending on the purpose. It’s essential to ensure that the granite thickness will endure its purpose. If the granite is for commercial purposes, consider choosing a thicker one as compared to home use. While buying the granite, one that has no seams is better than one with seams. Ensure that your granite has no seams especially at the focal points. Bright colors will work for small areas better than dark colors. Brightly colored granite make the kitchen feel huge. Granite sellers will typically have a small cutting that you can take home and compare with cabinet color and wall colors. Some colors are cheaper than others, opt for a more inexpensive color that matches with your cabinetry.